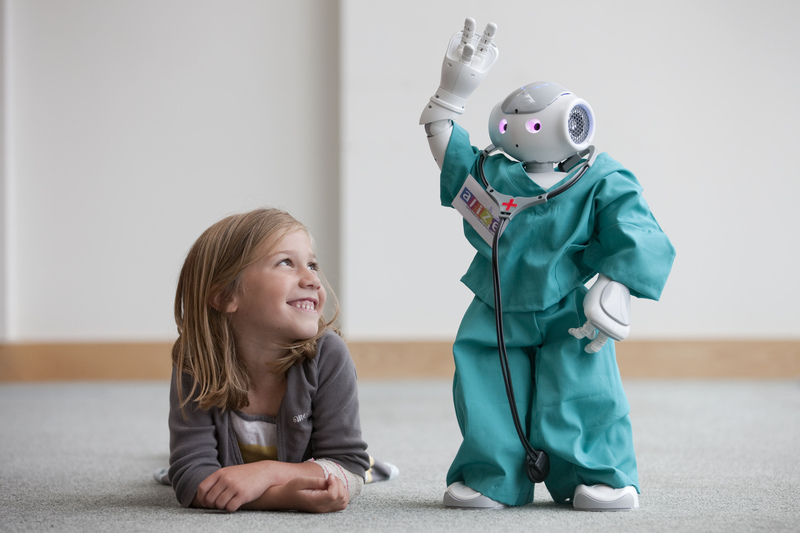 The ALIZ-E project studied how social robots could support children during a stay in hospital: education happened through a large touch screen. 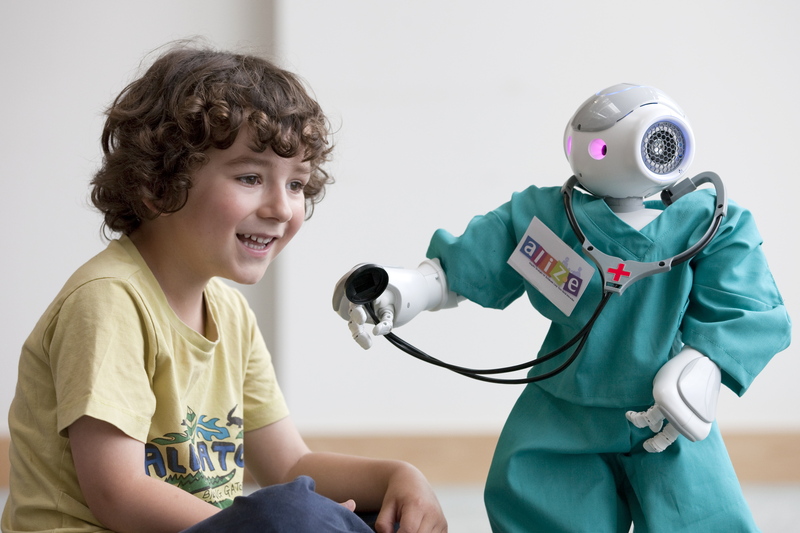 The ALIZ-E project studied how social robots could support children during a stay in hospital: the robot needed advanced AI for offering personalised interaction. 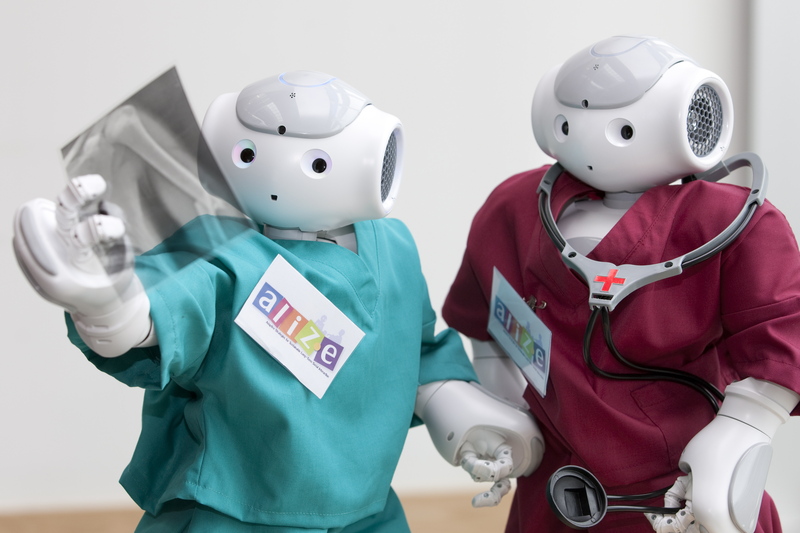 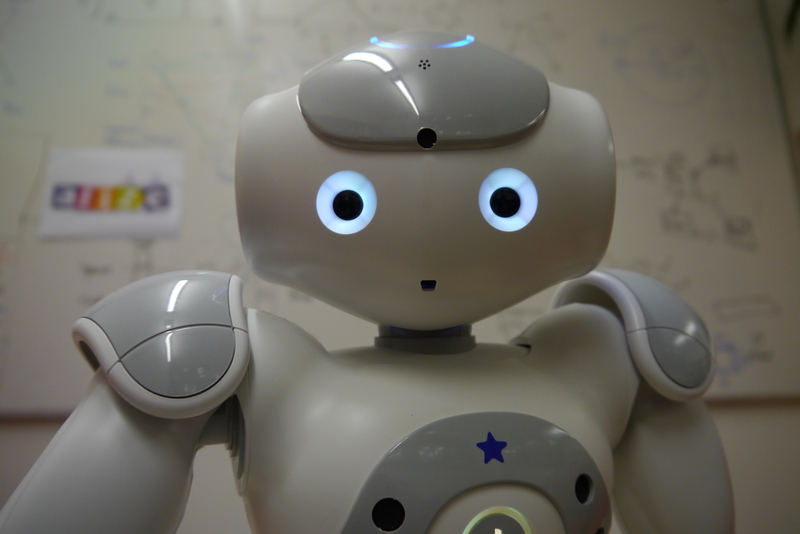 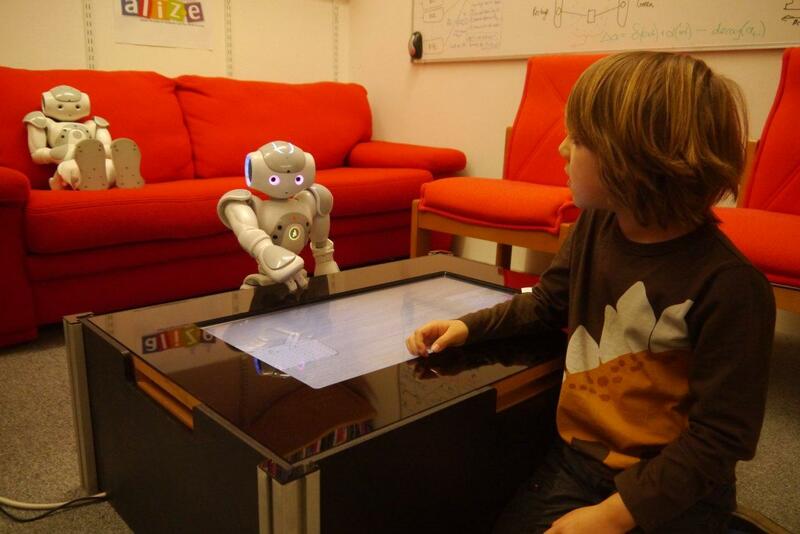 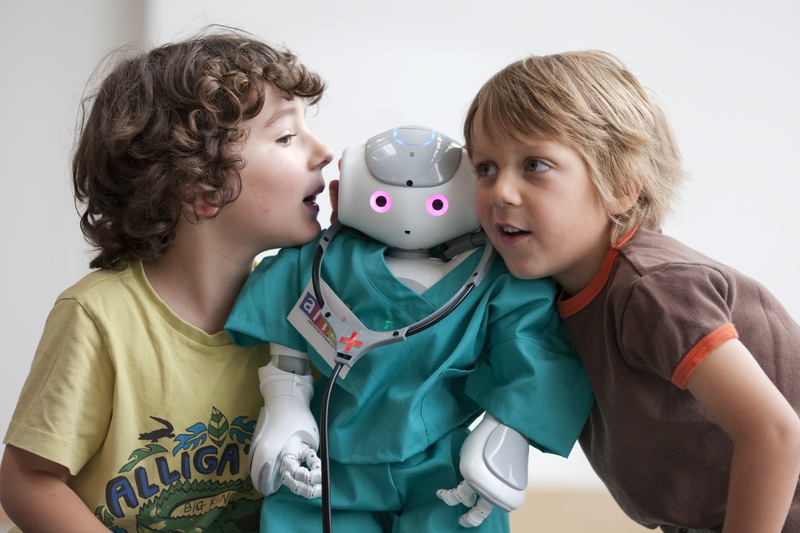 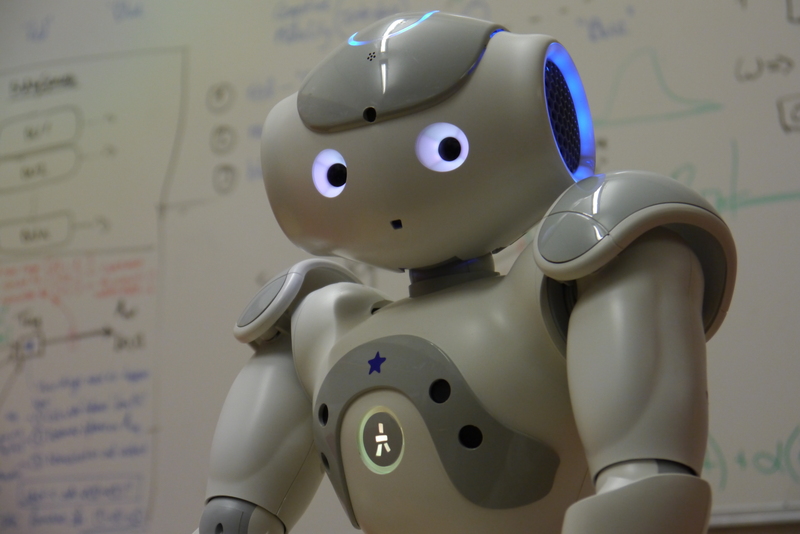 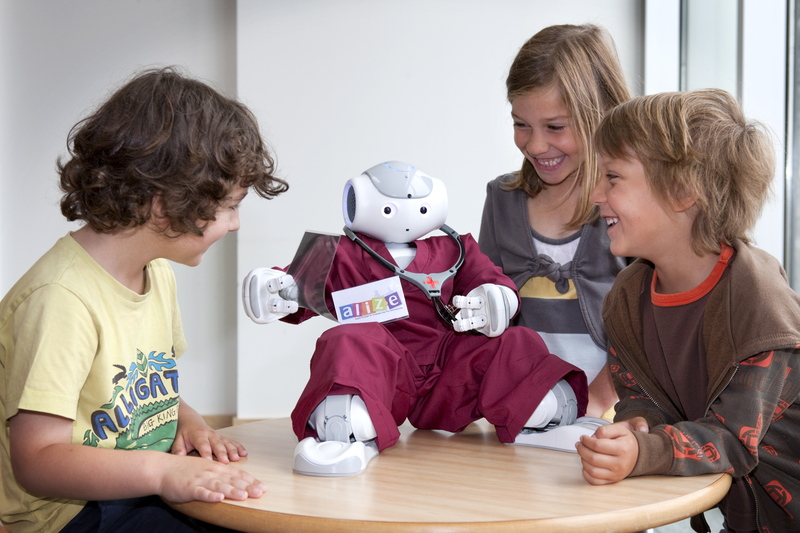 The ALIZ-E project studied how social robots could support children during a stay in hospital. 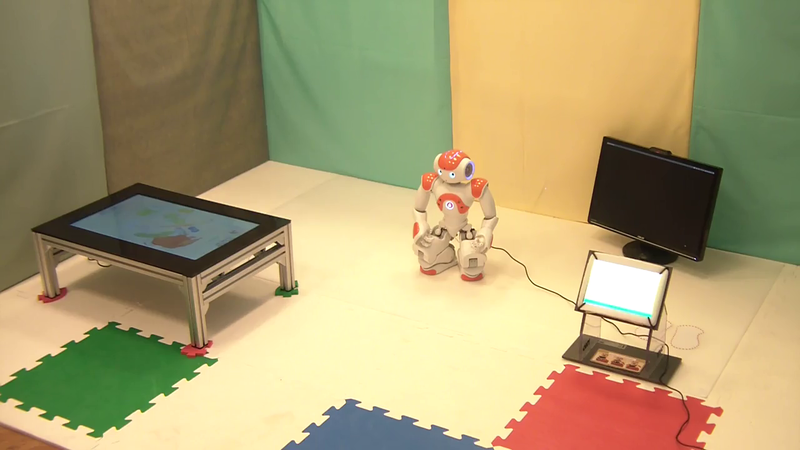 The ALIZ-E project studied how social robots could support children during a stay in hospital: this is the setup used at the San Rafaelle hospital in Milan.